The Largest City in Essex County, Lynn is located on the Atlantic Ocean, just 10 miles north of Downtown Boston. Lynn has seen a recent revitalization as of late, home to a diverse population, historic buildings, public parks, and loft-style apartments. Some even say Lynn is the cultural hub of Essex County, focusing on arts, culture and entertainment with new art exhibits, entertainment venues and restaurants popping up all around downtown. 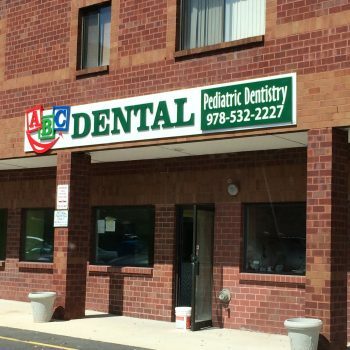 At ABC Dental- Peabody, we take pride in providing only the best Pediatric Dental Care to families in Lynn. 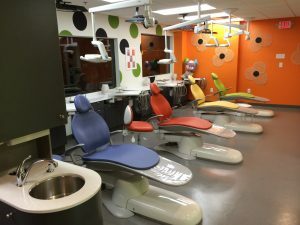 We strive to create a comfortable environment that centers around oral health for your child or teen. Located just next door in Peabody, MA, we offer a friendly dental experience specialized in treating the unique needs of children and teens. Our specialized practice encompasses pediatric, orthodontic, and emergency dental care for children and adolescents, in a state-of-the-art facility. We strive to provide a comfortable environment for our patients to alleviate any anxiety related to dental care. Our goal is to achieve a trusting, long-lasting relationship with you and your family. Specializing in pediatric and infant dental care. It is important for children to start seeing a dentist as early as age 1, as they may already have a few baby teeth. Starting visits early will allow most dental problems to be caught early on and avoided. Our dentists are trained and specialized in treating infants, children, teens, and children with specials needs. We have experience helping children and teens across Lynn and surrounding towns including students from Tracy Elementary, Breed Middle School and all of the Lynn Public High Schools. Our dentists and orthodontists offer braces and Invisalign for kids and teens to straighten crooked teeth for a more confident, happy smile for life. To see ABC Dental’s full list of services click here. If you would like to schedule a consultation or appointment fill out the contact form located on this page, or if you have any questions about our practice give us a call at: (978) 532-2227. We look forward to hearing from you soon!